Many people may not consider this unfamiliar territory as a luxurious destination. However, with modern infrastructure and a variety of high-class hotels and other alternative forms of accommodations, Mongolia is a country that should be on everyone’s bucket list. Accommodations include a variety of luxury hotel, but to truly experience the Mongolian Nomadic heritage, you’ll have the great pleasure of staying in a “Ger”, the traditional portable home of the nomads. Experience the nomadic heritage as they have for hundreds of years. A “Ger”, also known as a “yurt”, is a large, round felt tent lined with beds along the walls and cooking equipment set up in the middle. Many Ger camps offer a high standard of accommodations that can be just as comfortable and luxurious as those offered by a high-end hotel. Some camps even offer attached en-suite toilet facilities for those who would like that rustic experience but with the comfort of modern conveniences. 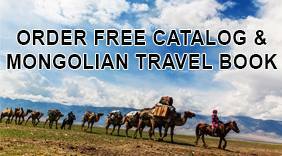 We invite you to join us this summer for an unforgettable experience to Mongolia, a remote and beautiful destination that is just waiting to be discovered. The stunning landscapes will amaze you – from the majestic Altai Mountains, to the clear blue lakes and from the hot, arid Gobi Desert to the rolling hills of open grasslands. Its abundance of natural habitat, fantastic scenery, and unique cultures including the intriguing nomadic herdsman, makes Mongolia one of the most fascinating countries in the world. Mongolia is ideal for exploring and learning without the overwhelming crowds, particularly outside of Ulaanbaatar, due to the low number of visitors it receives. Mongolia is a very large land mass covered in vast rolling steppes where nomadic traditions still flourish, herds of wild horses roam freely in national parks and the sand dunes of the immense Gobi Desert “sing” in the wind. You’ll discover ancient Buddhist monasteries and learn of Genghis Khan’s empire to see how his heroic legacy has given Mongolia its identity. Whether searching for dinosaur fossils in the Gobi, or sipping on fermented mare’s milk in a traditional nomadic camp, this an experience sure to thrill travelers seeking that unusual adventure. A few of the highlights you may experience is a visit to Hustai National Park in search of the wild Przewalski’s horses; 4x4 vehicle excursions through the mystical Gobi Desert and Hongorlin Els (Singing Sands), vast sand dunes that rise from the desert like mountains; exploring the pristine alpine scenery of Gorkhi-Terelj National Park; and a visit to the Flaming Cliffs, an area in the barren Gobi Desert known for its collection of dinosaur fossils and perhaps the most intriguing destination of all.